Node sieges are declared directly by any player who completes the prerequisites for the siege initiation. During the declaration period, individuals or guilds can also register to attack. Sieges are started via an item which is acquired through a quest that scales in difficulty with respect to the level of the Node. Once the item is brought to the Node and is activated, the declaration period begins and a countdown is initiated for players in the region to see. This countdown runs for a number of days equal to the level of the Node being sieged. Once the countdown is complete, the siege begins. 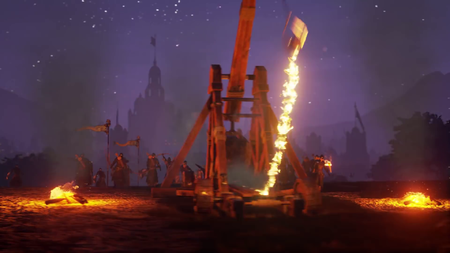 Sieging will require a similar amount of resources and time to what it took to develop the node being sieged. 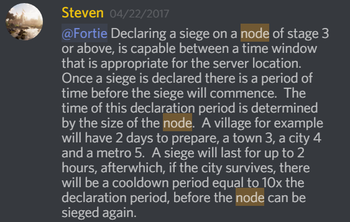 Siege equipment will need to be crafted based on the stage of the defending node. Mayors/governments allocate resources, taxes, and quests to help develop node defenses. The time window for a node siege is appropriate for the server location. Each node has a number of districts, depending on its stage. Districts are taken by defeating a "raid boss" guard NPC in that district. If attackers take over a district, they gain that district as a respawn location. The respawn time for defenders is increased for each district that is taken. 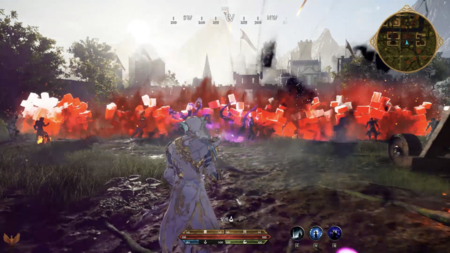 Defenders can assault the outposts of the attackers to hinder them. 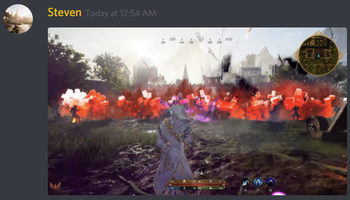 A node siege will last for up to two hours. Defenders will be required to hold a central point in the node. Attackers will need to remove the defender's flag and raise their own. ↑ 2.00 2.01 2.02 2.03 2.04 2.05 2.06 2.07 2.08 2.09 2.10 2.11 2.12 Blog - Know Your Nodes - Advance and Destroy. ↑ 3.0 3.1 A reactive world - Nodes. ↑ 17.0 17.1 17.2 17.3 17.4 Podcast, 11 May 2018 (21:07). ↑ 21.0 21.1 21.2 Blog: 10 facts about castle sieges in the MMORPG. ↑ 23.0 23.1 Livestream, 18 January 2018 (37:05). ↑ 31.0 31.1 31.2 Livestream, 8 April 2018 (PM) (51:49). ↑ Livestream, 19 May 2017 (47:07). ↑ 41.0 41.1 41.2 41.3 Podcast, 11 May 2018 (49:20). ↑ 43.0 43.1 Livestream, 8 April 2018 (AM) (28:01). ↑ 44.0 44.1 Interview, 17 August 2018 (14:59). ↑ 46.0 46.1 Livestream, 24 May 2017 (22:30). ↑ 51.0 51.1 Livestream, 16 October 2017 (59:39). ↑ 55.0 55.1 Livestream, 22 May 2017 (57:37). ↑ 56.0 56.1 Interview, 11 May 2018 (44:20). ↑ 57.0 57.1 Interview, 8 August 2018 (11:52).